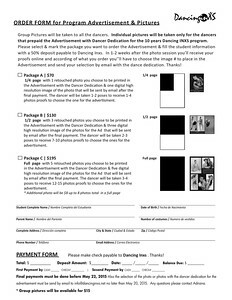 Order Forms Dancing Inxs 2015 to print, fill it up and leave at the dance studio with a 50% deposit minimum to process your Order. Thanks! Cd with Digital images are available only thru the Form not online . See a sample of the beautiful photobook 8x8"